A small but elite group turned up to run against the wind across the state in round 6. With wind readying up to -6 m/s it was virtually impossible to deliver solid performances. However, MUAC still managed to score big points and we saw our men’s team on top of the ladder. Unfortunately, the women’s team was disqualified in the relay and are thus in second place, just behind Essendon. Clearly the wind wasn’t strong enough to defeat the MUAC team spirit. With 6 rounds down and 6 to go: MUAC div 1 men are currently sitting on top of the ladder. #proud And MUAC Div 1 women are sitting second. #itsnotoveryet. Both Men’s and Women’s teams finished in second across all Division One teams statewide and sit comfortably inside the top four. Women-Top performances Outstanding performances from K. Abfalter, T. Manscuso and K. Iannello who vaulted 3.40m and scored 500 points each, not far behind them was another strong effort from I. Napier who vaulted 3.25m (439pts) and Elizabeth Ruach 26.67s in the 200m (430pts). Men- top performances: It was a tough day for field athletes with unpredictable wind direction, but that didn’t stop C. Paynter scoring 480 points in long jump (6.70m), 473 points in Javelin with a throw of (49.75m). L. Schreck rounded out the dominating field performances with his 6.34m long jump (451pts), and E. Ueda dominated 3000m with an exceptional time of 9.01.6h (464 pts). 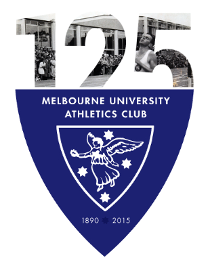 Athletics might be an individual sport, however, Melbourne University Athletics Club demonstrated that team work wins championships. So don’t miss your opportunity to represent MUAC with pride in the last 6 rounds. 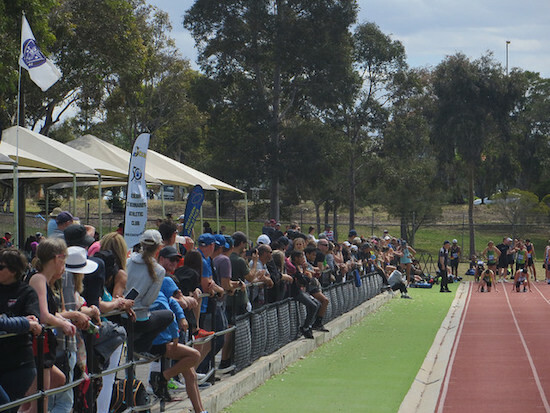 See you all next week at the Victorian Relay championships. If you are not competing, please come and support the teams.